A sporty jacket for girls, with grown-up style. 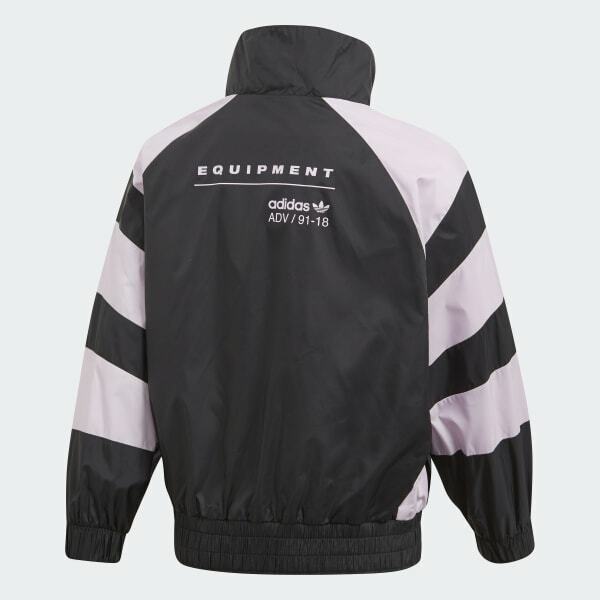 Born during the '90s running craze, and ready for today's streets, adidas has reimagined Equipment pieces by including modern materials and design cues for looks that bring together the best of retro and contemporary style. 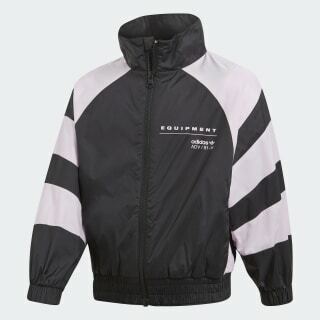 Inspired by women's designs, this girls' windbreaker has a sporty, grown-up look with oversize 3-Stripes along the sleeves. Lined with soft woven cotton, this jacket has a full zip with a stand-up collar and large Equipment ADV logo printed across the back.